Experience the ultimate speed, reliability, and freedom with VentraIP Australia's VPS platform. Easily add additional resources to your service when you need them using a platform that we’ve built to grow with your business. Using Intel Xeon Silver CPU's and RAID 10 Samsung SAS SSDs, experience the unrivaled speed and reliability of Australia’s most powerful VPS platform. Get started with your brand new VPS right away thanks to our streamlined setup process and expert server admins. Craft the perfect hosting environment for your business with access to dozens of licenses, resource packages, and add-on services. Enjoy complete freedom with root access to your server, giving you the power to unlock the true potential of your website. Rest easy knowing your service is safe with our 100% redundant network, removing every single point of failure along the way. Your files and databases will be stored on our new enterprise SAS SSD storage which is lightning fast and highly reliable. Please note that our Acceptable Use Policy applies to all content stored on our servers. This is the amount of memory your server processes can use before throttling is applied. This is the limit of CPU available to your server, where 100% equals 1 vCPU core. Unlike many Australian alternatives, VentraIP Australia's virtual private servers offer unrestricted performance at all times. 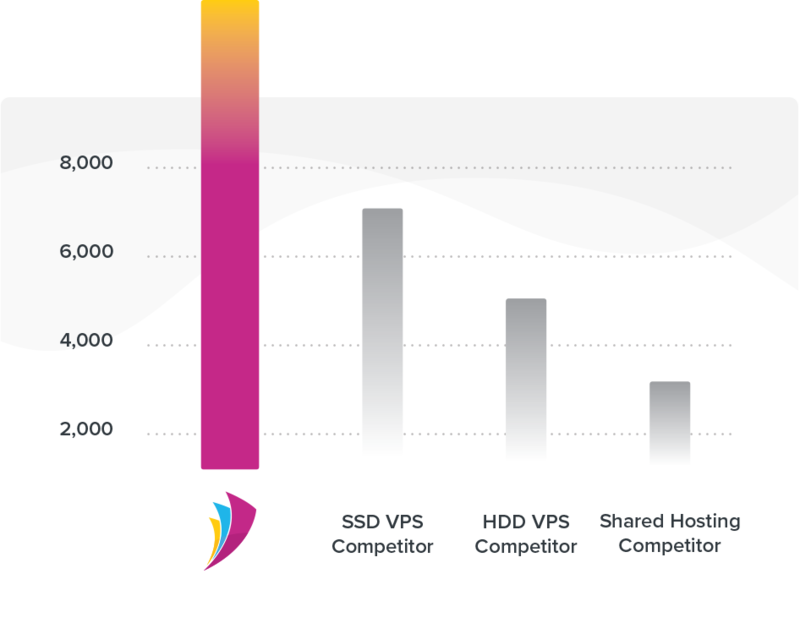 Our VPS platform was built to ensure that you have access to an Industry leading level of resources when you need them most. 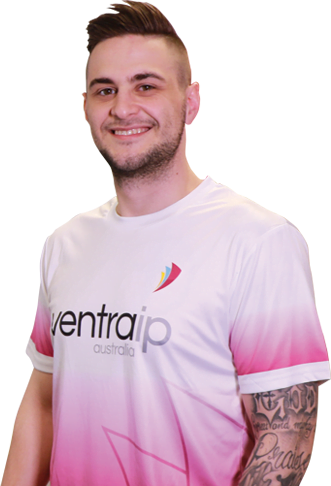 "I would highly recommend VentraIP Australia to anybody as the customer service and solutions provided are a 10/10." "We have been with VentraIP Australia for 5 years and are very happy with the support we receive and value for money." "We’ve been with VentraIP for over 5 years now and on the whole, the service has been great. Up-time with the service has been exceptional. Keep up the good work." "The VentraIP Australia systems allow us to make changes as required without needing to trouble the support team. The support is been exceptional, with tickets responded to quickly and accurately. " Our team of hosting experts are there for you 24/7. Give us a call today! Be ready for anything with around the clock monitoring and fully redundant backups. With backups taken every six hours, you’ll never have to worry about losing everything thanks to our fully redundant R1Soft backup service. Be notified of any unexpected events on your server with email notifications sent directly to your inbox thanks to Nagios around the clock service monitoring. Everything you need to keep your server safe from malicious attacks and unexpected threats. Protect your server from malicious attacks and with comprehensive threat prevention that only a Fortinet hardware firewall can provide. Our Complete Security Suite comes with everything you need to rest easy at night knowing your service is completely secure. Includes SpamExperts’ industry-leading outbound spam protection, ConfigServer eXploit Scanner (CXS) active monitoring, and comprehensive threat prevention via a Fortinet hardware firewall. Everything you need to power up your server when you need it most. Easily add or remove additional vCPU cores thanks to our streamlined process and never run out of resources again! Add or remove additional Memory with ease thanks to our streamlined process and never run out of RAM again! Running out of storage space is a thing of the past thanks to our customisable hosting platform and expert technical support staff. Unfortunately this add-on cannot be removed. 100GB Additional Bandwidth Easily add or remove additional bandwidth whenever you need it thanks to our streamlined process and customisable hosting platform. The following licenses are available to attach to your service. The following operating systems are available for your service. Our Self Managed Business VPS is the perfect platform for when you need complete freedom and access to a wide variety of features. We give you complete control over your very own server and leave you to build your ideal environment. We understand that this kind of freedom can sometimes mean you’re not sure how to fix a certain problem or are stuck implementing a new feature and this is where our Server Management Jobs come to the rescue! Simply purchase a Server Management Job for $29.95 and a senior member of our technical support team will schedule a 1-on-1 consultation within 2 hours to discuss exactly what you need and how you would like it done. Please note that our staff may not be able to perform some tasks, however this will be communicated during the 1-on-1 consultation to avoid any inconvenience. We're passionate about supporting Australians here at VentraIP Australia. From our Sales and Billing teams to our award-winning Technical Support staff, you're always dealing directly with homegrown Aussies based out of Melbourne. We're so confident you'll love our products, we offer you a full 45 days to test out our services and find out for yourself why we're loved by over 150,000 Australian customers. Unlike many other companies, we don't lock you into long-term contracts. Whether you're looking for a long-term commitment or simply need a month-to-month service, our VPS products are the perfect solution. Our local Support team are here for you 24 hours a day, 7 days per week. Whether it's lunchtime or the middle of the night, simply give us a call and we'll get your problem sorted within minutes! What sort of access do I get to my server? We give you root access to your very own server from day 1. Once you’ve completed your purchase, our automated system will instantaneously provision your brand new Self Managed Virtual Private Server. You’ll be provided full root access to get you started as soon as possible. Can you set up my Virtual Private Server for me? We’ve designed our Self Managed VPS products to be completely managed by you, however, any software licenses purchased will be set up for free by our team of web hosting experts. If you require support for your server you will be required to purchase a Server Management Job for $29.95, which includes a 1-on-1 consultation with a member of our support team who will scope out your requirements and organise a time that suits you best to solve the issue. Why is Windows Server not an option for my OS? Please feel free to contact our Sales Team if you’d like to be notified when we’re ready to implement Windows operating systems on our new platform. Where is my Virtual Private Server located? All VentraIP Australia VPS products on our new platform are hosted in Sydney, a major connection point for international traffic travelling into and out of Australia.